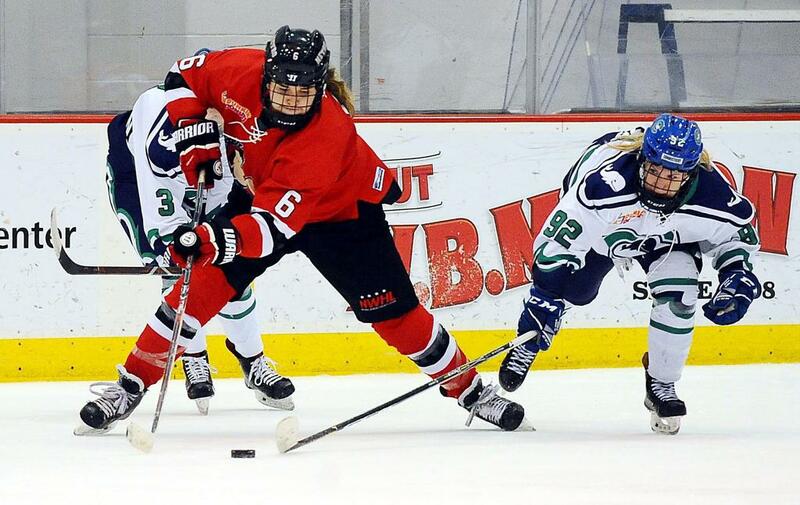 On Feb. 9 and 10 in Nashville, defender Courtney Burke will be representing the Metropolitan Riveters at an NWHL All-Star Weekend for the third time in three seasons. Not a bad start to her career as a pro, which also includes an Isobel Cup and Defender of the Year Award during the 2017-18 season. 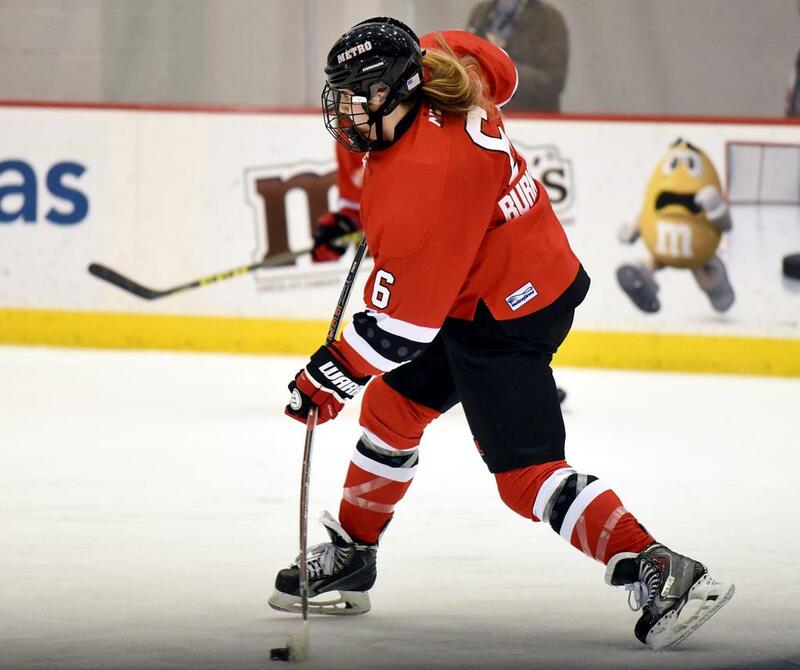 Her 34 career points (5g-29a) is first among all Rivs’ defenders, second among all NWHL defenders, and tied for 15th overall on the league’s all-time scoring leaders. This season, despite missing a handful of games with a shoulder injury, the 24-year-old leads all Riveters blueliners with four points. Tickets are available for the Sunday's All-Star Game at NWHL.zone/tickets. The game will be held at Bridgestone Arena following the Nashville Predators matchup with the St. Louis Blues, which begins at 11:30 AM CT.
Courtney, this will be your third All-Star Game in three seasons, how excited are you to go to Nashville for another unique experience? I’m super excited to go to Nashville, I’m a huge country music fan so I’m really excited about that aspect! I’ve never been there before. [The Skills Competition] sold out within a couple of days. It seems like it’s a good place to have it. A lot of people are interested and excited about it and I’m excited to get down there. You get to go to a new market too, where there isn’t a professional women’s hockey team, and that has to be pretty awesome, right? Yeah exactly. I don’t know of any triple-A teams in that area. It seems like if there are girls playing down there they are traveling elsewhere to be playing on a competitive team or in a competitive league. I’m sure it will be interesting for them to see the top women’s hockey players play. Last year the game was in Minnesota and I’m guessing that it won’t be quite as cold in Nashville, so that’s a bonus, right? Well, it is the State of Hockey so you knew there was going to be a big turnout. I was actually really sick during the game. I had been battling the flu all week and I didn’t get to enjoy it as much as I should have. It was still awesome and the crowds were huge there. I’m really excited to see what the turnout will be in Nashville. You missed a lot of time early in the season with a shoulder injury. How tough is it to sit around and watch your team play, and not be able to help out? It is tough. Obviously, my two roommates were still playing and you hear from them what’s going on. The road games I couldn’t travel for so I watched on Twitter or NWHL Watch to try to follow along with what was going on with the Riveters. From that standpoint, it was good to see what I needed to work on, what the team needed to work on, how I could come in and help them out after my injury. It was tough to watch because I couldn’t help (on the ice) at all. All I was, was a voice in the locker room and that only helps so much. It’s been great getting back on the ice and playing again. I feel like I’m finally starting to get back into a groove. Can you explain what you had to go through to get back to playing games again? I was working a lot with Dr. Lomas on everything. We were in constant contact. I was going to physical therapy in the morning for an hour and a half before work; I did that three times a week. Then I would be at the rink at night to skate - just to be on my feet and moving - without contact or anything like that. I probably did that for about six weeks straight - PT three times a week on top of work and practice two times a week. It was a bit of a struggle, I was a little bit tired (laughs). But it was worth it and it got me back way quicker. Working with Dr. Lomas, he was a really big help to me; I can’t thank him and his staff enough, and my PT people too. They all helped get me back way quicker than I think we all expected. When you’re home watching these games and your roommates come home, were you able to point out things that you saw, especially with Jenny - who’s been your D-partner for a long time? Yeah. Obviously, you can tell there were some frustrations, some games that we should have won in that stretch. It’s tough when you’re playing with different people every game. You’re so used to it - whether it’s Jenny and I playing together or whoever it is - we’ve been playing together now for two years, and before that sometimes in college. It can get discouraging when you’re playing with someone you’re not used to. She and I have known each other (for a while) and how each other plays. We can read off of each other pretty well too. It was tough to just watch in general but I feel like things are starting to come together for us a little bit here. The season hasn’t gone exactly as you’ve planned, but with a few games left and every team making the playoffs what is the mindset for this final stretch of four games? We want to just play as well as we can and take the positives out of every game. Obviously, there are going to be mistakes along the way but I think the biggest thing is taking those positives and rolling with them each game. Making ourselves better each game, working on the little things in practice and things like that. Our power play is starting to come along now too, and we’re starting to work a little bit better. Hopefully, by the end of the season, it all comes together. 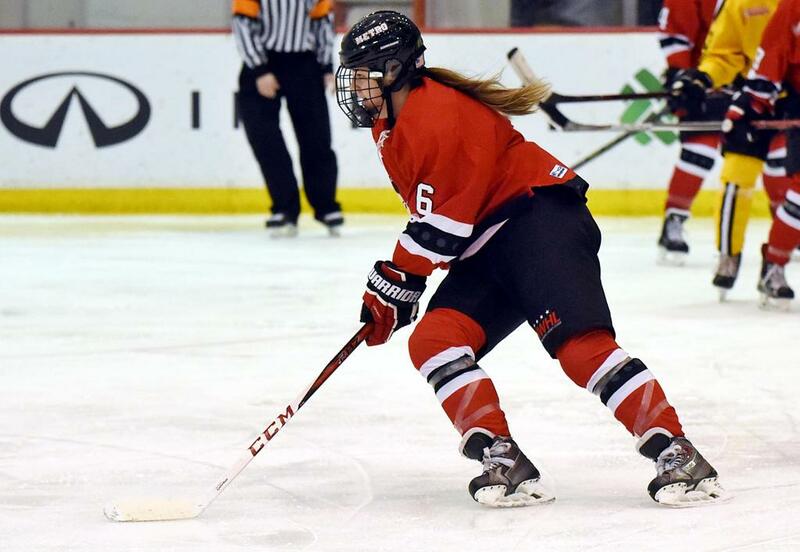 The NHL had their Skills Competition last weekend and we all know Kendall Coyne Schofield did a phenomenal job not only representing the NWHL, but also women’s hockey in general. Can you see in the next five or so years a co-ed All-Star Weekend, or at least Skills Competition? Yeah, that would definitely be really cool! I’m not sure if it will happen anytime soon but it’s something down the road that would be really awesome. Just for young girls coming up. I saw some pictures on NBC Sports and places like that of little girls saying, “Oh my god this is so cool!” I think that is huge for women’s hockey and the girls growing up that watch the NHL to see that there is another league, that there are women playing hockey too. I think down the line that’d be a really cool thing for them to do. Even if they do a fundraiser type of thing where you mix in some of the USA Hockey girls, have a fun game, and make it count for something; make it a cool event.